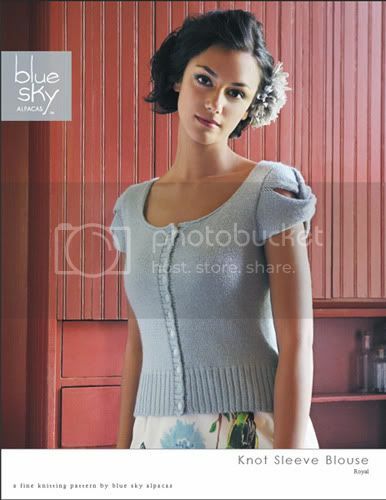 I’m back with another spectacular pattern preview from our other side of Spud & Chloë, our Blue Sky Alpacas side. I am so in love with our pattern collection for the upcoming season. I can’t ever remember loving an entire collection so much. 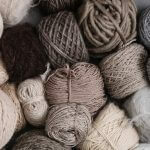 We have the cream of the crop in designers and in yarns, never a better combination for knitting. 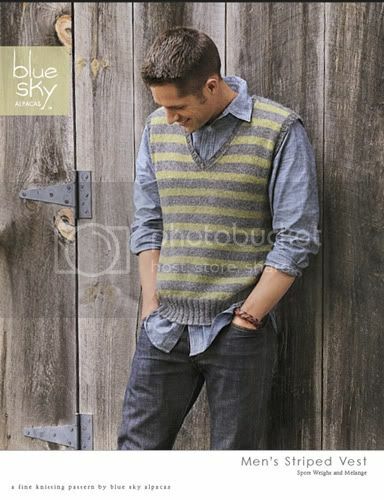 I’ll let you know when the patterns are available for purchase through your local yarn shops and online yarn shops. It will be very soon. Now, I’ll get right to it! Click here to visit the Blue Sky Alpacas website for more yarn and pattern information! Notes: This tunic-length vest is fitted for a flattering shape and features a clever box-stitch pattern for interesting texture. Notes: This light and pretty cardigan features top down construction with handy pockets and an easy lace edging. Notes: This light and airy wrap features an engaging charted lace pattern with a knitted-on edging. Gauge: In sleeve patt, each st rep = 1″ and 7 rows = 4″ with smaller hook. Notes: This lacy crocheted cardigan is the perfect layer for warm, breezy days yet chic enough for a night on the town. Notes: This classic layering piece gets a modern update with a close-fitting design and a subtly asymmetrical stripe pattern. Notes: This exquisite fitted cardigan features a pretty scoop neck and an ingenious knot-sleeve detail. Can you believe the beauty of these pieces? I can’t. I’ll be back tomorrow with the Cedar Wrap pattern. Sorry for the delay for those of you waiting. I promise it will be up and available tomorrow!